If you're like me, then you like to keep your car clean and actually like to do the car washing yourself. No commercial car washes for me. I like to know that the drying rag that is used on my car didn't fall on the ground, didn't attract dirt, and wasn't used to basically rub road grime on my car's finish. Yes, I'm somewhat meticulous like that. 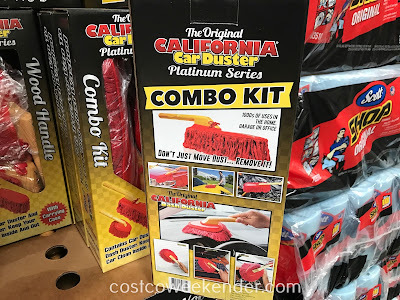 So I'm a little hesitant to try the California Car Duster Combo Kit. 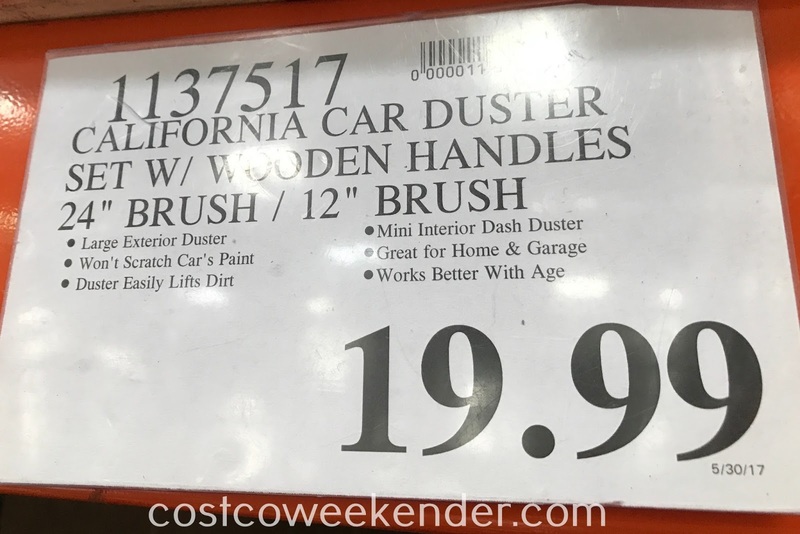 If there is just a bit of dirt already on the car, is it safe to use a duster? 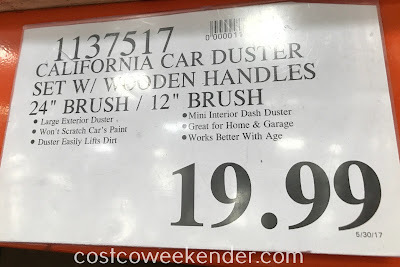 This claims that it won't scratch the car's paint and that it will easily lift the dirt. I'm willing to give it a try. I probably still wouldn't recommend it for a really dirty car. But if there is a light film of dust, then it may be ok. The included mini interior dash duster is definitely worth a shot. 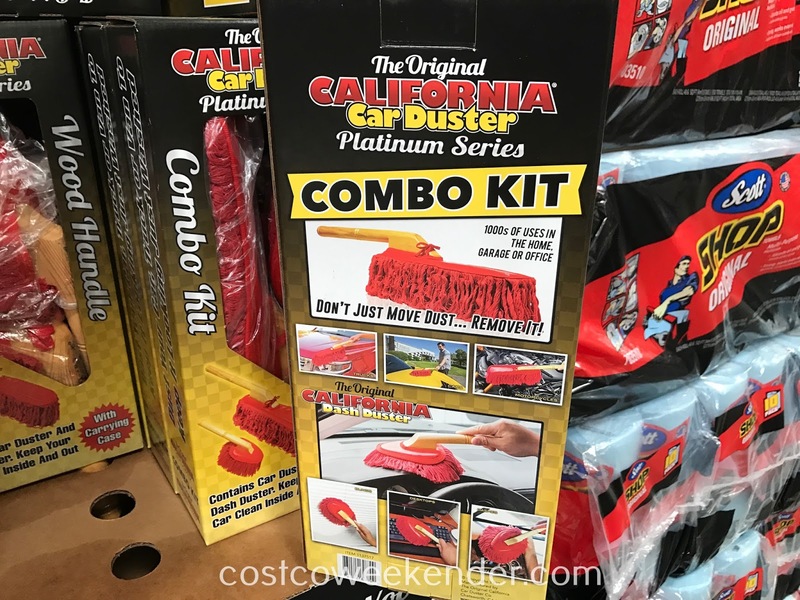 So if you appreciate the look and feel of a clean car, then check out the California Car Duster Combo Kit.